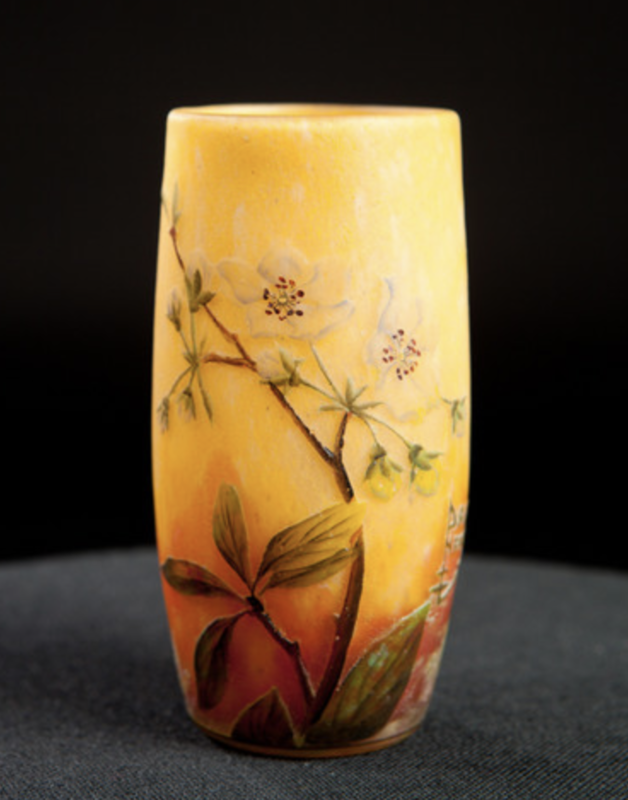 Small Daum vase made around 1910 at the height of the Daum period. After the death of Emile Galle in 1904 , the Daum factory grabbed its chance to grow and to become as large as Emile Galle. In this period they make the most beautiful vases. The vase is acid-etched with white flowers.